Jasprit Bumrah, Pat Cummins among bowlers to move up; career-bests for Henry Nicholls, Babar Azam and Rishabh Pant. He now has 3727 runs and 201 wickets in Test cricket. Windies all-rounder Keiron Pollard became his 200th Test victim. 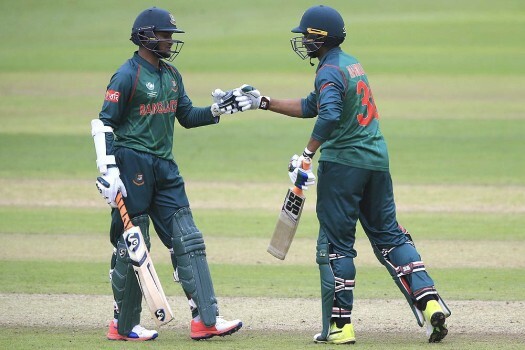 The Asia Cup 2018 final will be the 35th ODI meeting between the two neighbours, with India dominating the fixture with 28 wins as against Bangladesh's five. Bangladesh played without injured Shakib Al Hasan. His place has have been taken by Mominul Haque. Last time India lost to Bangladesh was in an ODI match in 2015, in the first of the three-match series. Chasing a target of 308 runs, India came short by 79 runs at Dhaka despite a 95-run opening stand between Rohit Sharma and Shikhar Dhawan. Rahim, who was dropped twice in the 10th and 37th over, went on to post the highest score by a wicket-keeper in the Asia Cup.